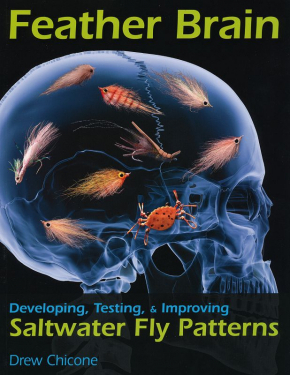 The fly-fishing guru has gathered together his entire expertise about the subject in a very entertaining manner. Anyone not already familiar with Mel Krieger will find this to be an excellent introduction, from which a lot can be learned. For those who already have his book, this is a wonderful opportunity to supplement it and get to know the author live. 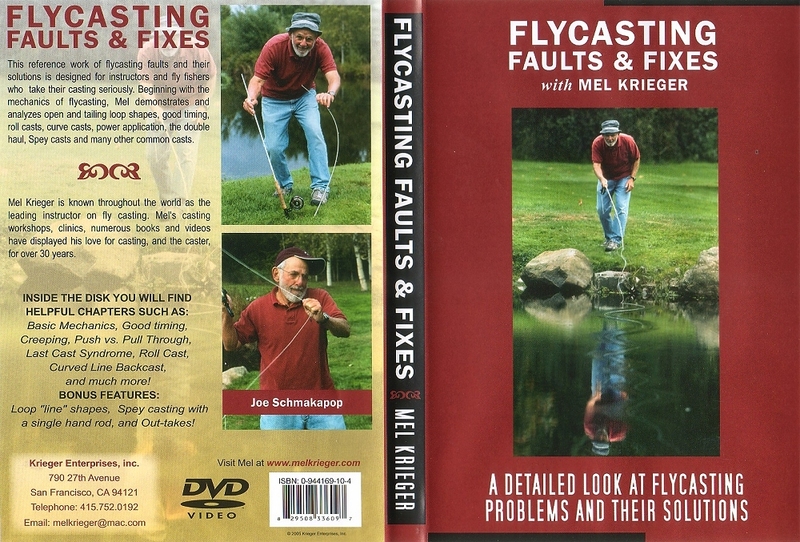 "A detailed look at flycasting problems and their solutions" is the subtitle of the DVD. 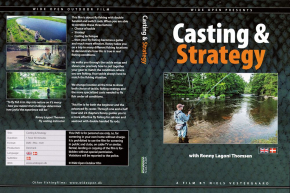 And surely every dedicated fly-fisher wants an answer to the problems they have when casting. The DVD is only available in English, the only way to truly experience the Mel's charm and humour. The Scandinavian edition contains sub-titles in Swedish, Norwegian, Danish and Finnish which may be turned off under options, and it possesses a cover, which differs from the one pictured. In this standard work, Mel Krieger and his alter ego Jo Schmakapop explore common errors when flycasting and how to avoid them, in eight chapters (plus three bonus chapters) and a total of thirty-one sequences. 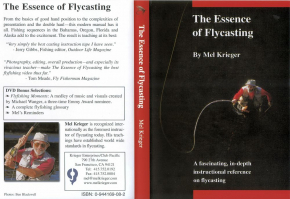 Beginning with the mechanics of flycasting, he demonstrates and analyses open and crossed tailing loops, good timing, roll casts, curve casts, applying force, double haul, Spey cast with the single hand rod, the "Last cast" syndrome, and much more. 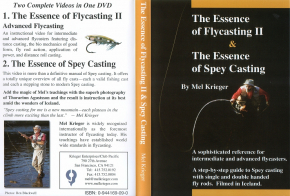 "With absolutely no unnecessary casting-babble Krieger explains the basic mechanics. Understand this and you understand the principles."